The challenges of learning and teaching in online environments are ones that all educators face today – or at least should! So in this context, I was pleased to see the latest @JISC report for the university context:- Enhancing the Student Digital Experience: a strategic report. How are you responding to the changing digital needs and expectations of your students and staff? Do the experiences and the digital environment you offer to your students adequately prepare them to flourish in a society that relies heavily on digital technologies? What are you doing to engage students in dialogue about digital issues and to work collaboratively with them to enhance their digital learning experience? How well is the digital vision for your establishment embedded in institutional policies and strategies? A must read and addition to your professional collection. However, from my experience in Higher Education what we do is probably far more complex and less likely to come to a happy resolution than in schools. This is not because we are any less competent, but rather that many in tertiary see ‘teaching’ as of secondary importance to everything else, whether that is research, writing or administration – because of the pressures put on them. This ‘dilemma’ leaves me somewhat unhappy with the trajectory and resolution of competing interests in my own small ‘realm’, particularly when as Courses/Program Director part of my brief is to nurture good quality learning opportunities for students. It puzzles me when I see a messages come into my mail about “strategies for assessment design that reduces marking time”, or “designing subject content and/or assessment to increase alignment with your research interests and why this is justifiable.” Both could (in my mind) run counter to overall course design, and/or quality engagement with students if taken in the wrong way. . So the real problem of course is not commitment of lecturers, but the priorities, that often make teaching the thing that you have to do rather than the thing you want to do. I would love to know how many folks in HE love their teaching, and work tirelessly with students to achieve the best outcome possible. I’ll leave it to you (from your personal experiences) to think of an answer. Conversely, of course, students come in many shapes, and dispositions, so the overall learning experience is still a dual experience. We can’t always meet everyone’s needs in online learning environments – after all, the learners themselves have to take a lead role/responsibility in the process. 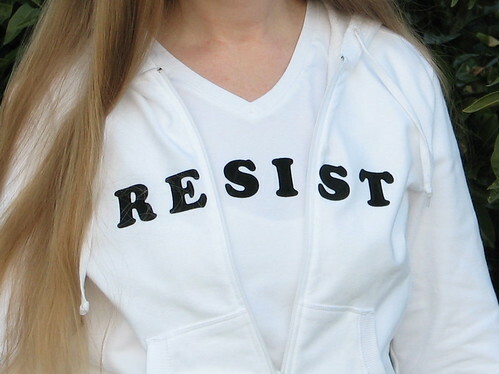 Resist the colour of Twitter? Within the business and education sectors, some people prefer to maintain a ‘professional’ social network for work-related communication and collaboration, while maintaining a ‘personal’ social network to communicate and share with family and friends. Others prefer to merge or integrate their professional and personal lives as a single ‘connected’ network. Yet in my experience, rather a lot more hardly make use of the affordances of technologies, and prefer to remain back in the 20th century. While I understand this when the choice is actively made based on knowledge of social media, I have run out of excuses to justify this position for educators at any time. 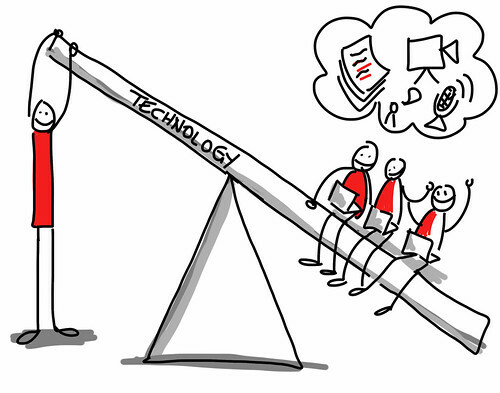 In a technology-driven society, things change at a faster rate than ever before in history. We need to be connected. Who educators connect with is a very critical consideration. Acquiring numbers of educators who share concerns and interests is essential. Once an educator connects with other educators, they begin to collect them as sources in a Professional Learning Network of educators, a PLN. A connected educator may then access any or all of these sources for the purpose of communication, collaboration, or creation. This connectedness is not bound by bricks and mortar. It is not bound by city limits or state lines. It is not limited by countries borders. The only nagging inconvenience is dealing with time zones on a global level. Yes, there have been any number of examples in the last several years about the influence of social media, but this next story caught my eye today. In Istanbul, known as the city of seven hills, dozens of public stairways crisscross centuries-old neighborhoods, giving pedestrians a way to avoid heavy car traffic on the streets. 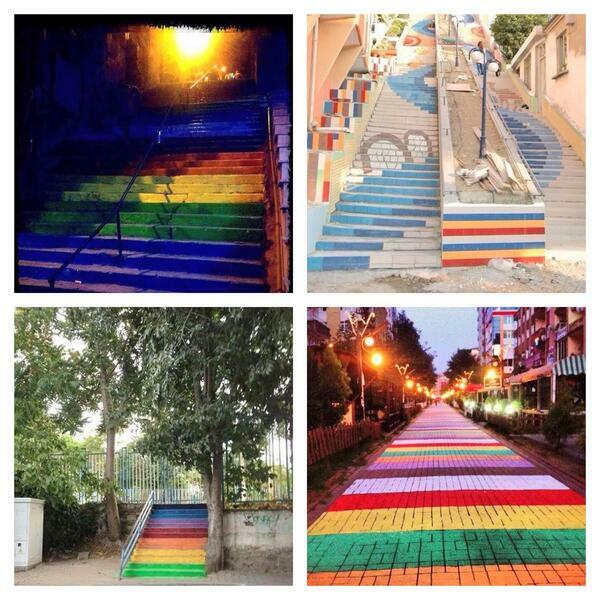 Those walkways generally attract little notice, but that changed last week, when a retired forestry engineer decided to paint the Findikli stairs in the central district of Beyoglu in all the colors of the rainbow — an act of guerrilla beautification that unintentionally triggered a fresh ripple of anti-government protests. The retiree behind the caper, Huseyin Cetinel, 64, told the local news media that his original motivation for applying a fresh coat of paint to the stairs was not activism, but the desire “to make people smile.” Mr. Cetinel said he spent nearly $800 on paint and devoted four days to sprucing up the stairs, with help from his son-in-law. “Don’t you think Findikli Stairs are just amazing? Thanks to those who did it,” one Twitter user wrote last week. What happened next in the story was interesting. What transformed the painted stairs into a political issue was the surprise that Findikli residents woke up to last Friday: the stairs had been hastily, and somewhat unconvincingly, repainted in their original color, a dark cement gray. Activists began organizing on Twitter almost immediately, using the hashtag #DirenMerdiven, or ResistStairs — a reference to the hashtag used for protests in June against government plans to build a shopping mall in place of the city’s Gezi Park, #DirenGeziPark, or ResistGeziPark. The rest is as you would expect – thanks to social action. Read more at New York Times. “But I’m already active on Twitter” I hear you protest? Well I have something else to share with you that I know others have enjoyed. Check out this presentation to find out the number one mistakes that everyone makes on Twitter. Understanding your digital footprint – new opportunities! Just like a tattoo, your digital reputation is an expression of yourself. It is formed and added to by you and others over time. In her Digital Tattoo presentation at ISTE 2013 (also in video format), Sullivan (2013), shares excellent resources and presents a compelling narrative for learning more so we can all make informed decisions about who we are and what we do online. Educators can not ignore this, it is part of teaching and learning now. It is an everyday part of a students’ life – professionally and socially. This may mean that teachers need to embark more on creating an online identity and actively engage in new and emerging media and in fact lead by example. Without this personal understanding of the technologies and web environments the issues that our students are facing becomes somewhat theoretical, and perhaps makes it difficult to take a proactive stance on matters within your own school or DLE. Nielsen (2011), in her blog post Discover what your digital footprint says about you provides resources to help you discover what your digital footprint really says about you. Fostering responsible citizenship needs a clear understanding of ‘public by default’ settings – particularly in the face of such challenges as those that social networking sites like Facebook bring into the mix. Teaching students to manage their digital footprint really starts with the adults. Teachers can’t teach this effectively if they, themselves have not managed their own digital footprint. It is also important not to confuse managing a digital footprint with being hidden or private. Branding our identities has become more and more important in the digital age and if students and teachers aren’t actively managing their digital footprint, then who is? Managing your digital footprint starts with asking questions like: Who are you? What do you stand for? What are your passions and beliefs? The important lesson with managing your digital footprint is that everything we do online should represent who we are and what we stand for and we must have the knowledge that this representation will stick with us potentially forever. (Nielsen, 2010). Levine (2012), takes us on a journey in his video, We, Our Digital Selves, and Us, where we are challenged to reflect on our online and offline identities and how we can mold our digital footprint, and implies learners at all ages should be cognizant of being digital. 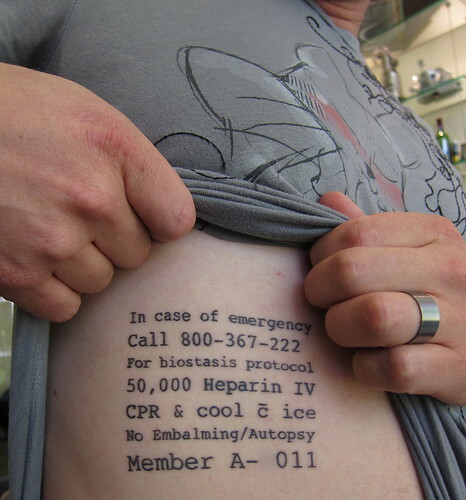 Want to learn more about your digital tattoo? Search yourself. Use pipl.com (http://pipl.com) to find out what comes up about you. Try Spezify (http://www.spezify.com/) for a visual representation of your identity or (more importantly) how the internet sees you. What are important messages and understandings we should be remembering and sharing with colleagues to inform our approach to teaching and learning in the digital world? You will find this and many more concepts, ideas, issues and questions to discuss in the subject that Julie Lindsay is writing and teaching for us at Charles Sturt University. I am delighted to be working with Julie – a real global leader in digital citizenship in schools. Julie has been appointed as an Adjunct Lecturer in the School of Information Studies, Faculty of Education. Julie is teaching two subjects in the March session – Digital Citizenship in Schools and Knowledge Networking for Educators. I am very proud of the fact that our new global online degree, launching in 2014, the Master of Education (Knowledge Networks and Digital Innovation) http://digital.csu.edu.au is working with global leaders in the field – a unique approach to postgraduate education. While we have a robust academic foundation for all the subjects, we also have a solid foundation in the really relevant concepts and practices required in a digital world – as demonstrated by those that are actually leading the global agenda! Enrollments are still open until 2 February. Contact me at Twitter https://twitter.com/heyjudeonline if you want more information! Library associations across Australia have announced the 13 Project, to strengthen the participation of school library staff in schools’ efforts to help keep their students safer online. Every parent fears their child being bullied, and cyber-bullying has added an extra layer to the threat. The 13 Project recognizes the special role of school libraries as a place where students often access online resources, and the opportunity library staff have to promote cyber-safety information. The 13 Project complements other school initiatives to deal with cyber-safety by positioning school library staff as having an important role in keeping students safe online. Through the 13 Project, school library teams will have access to web-based resources and information fact sheets to guide students and parents, and industry partner Softlink will be conducting research into school libraries and cyber-safety as part of its annual Australian School Library Survey. 13 Project partners include The Australian Library and Information Association (ALIA) and the Australian School Library Association (ASLA). These are the only two library associations able to represent school library interests at national level and by working in partnership are showing us the way forward in representing the profession. These two partners are joined by Softlink, a company which has been exclusively dedicated to the development and support of advanced integrated knowledge, content and library management solutions for school libraries for some 30 years. (Softlink is known for their support of school libraries through their annual survey and through their recent generous sponsorship of the discussion list for Australian Teacher Librarians at OZTL_NET). The library associations are partnering with the Department of Broadband Communications and the Digital Economy for National Cybersafety Awareness Week, to promote being safe online through displays, events and activities right across the country. The campaign will roll out over 2013, with the main launch event taking place around National Cybersafety Awareness Week, starting on 20 May, 2013. One activity that school libraries can be involved in is National Day of Action Against Bullying and Violence on 15 March http://www.bullyingnoway.gov.au/national-day/ Australian education authorities support this national day through the Safe and Supportive School Communities Project. So why the name 13 Project? The initiative takes its name from the year, 2013, the recommended minimum age for interaction with social media (Facebook), 13, and the launch date Friday 1 March 2013 (1/3/13). I’m delighted to learn about this new initiative. The work of our national library associations, ALIA and ASLA, is vital to the futures of our school libraries. It is the role of these two organizations to foster and promote the future of school libraries. No state, regional or lobby group should ever work in isolation from these two significant associations. School libraries and teacher librarians need our national associations now more than ever.